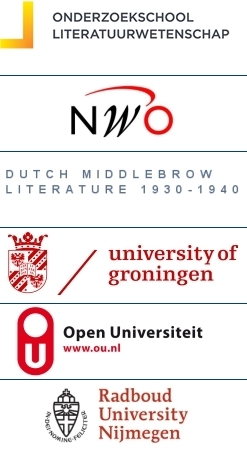 The Netherlands Research School for Literary Studies (OSL) is the national research network for literary theory, comparative literature, Dutch literature, and the literatures of the major modern languages in the Netherlands. It was founded in 1995, and has flourished as a forum for debate and exchange of scholarly views in the field. It also functions as the principal Dutch provider of high standard and cutting-edge education for research students and PhD candidates in this field. The OSL framework brings together a group of approximately 100 scholars from eight Dutch universities. The OSL supports and encourages academic meetings and exchanges in these fields. As a network, the school is organized to advance knowledge on literature and literary theory, to introduce young scholars in both classical and cutting edge theories and methodologies, and to update academic peers on relevant developments in the field. Seminars and other activities. A principal responsibility of the School is the training and supervision of PhD candidates and research master students in the field of literature. Every year OSL will organize a PhD-seminar, a Winter School for research master students, and several Workshops and Masterclasses for both PhD- and research master students. Furthermore, the OSL organizes an annual International Seminar in collaboration with the universities united in the HERMES-network (University of Wisconsin at Madison, Stanford, Aarhus, Giessen, Leuven, Lisbon, UC London). The teaching program serves to familiarize the trainee researcher with various forms of literary theory and literary historical research and the methods used in them. It allows graduate students from across the country to meet and interact with their fellow graduate students, and with more senior internationally renowned scholars from the Netherlands and elsewhere, in the form of workshops, master classes and symposia on the focal points in cultural history outlined here. All activities, mentioned in training programme, are open for both PhD and RMa students. Unless specifically mentioned. OSL is represented at nine Dutch universities: the University of Amsterdam (UvA, currently chairing the network), Utrecht University (UU), VU University Amsterdam, Leiden University (UL), University of Groningen (RUG), Radboud University Nijmegen (RUN), Tilburg University (UvT), Maastricht University (UM) and Open Universiteit (OU).